Looking to spice up your outdoor landscape? Here are some tips for turning dull rocks into a beautiful garden with pocket planting. Check it out and try it for yourself. 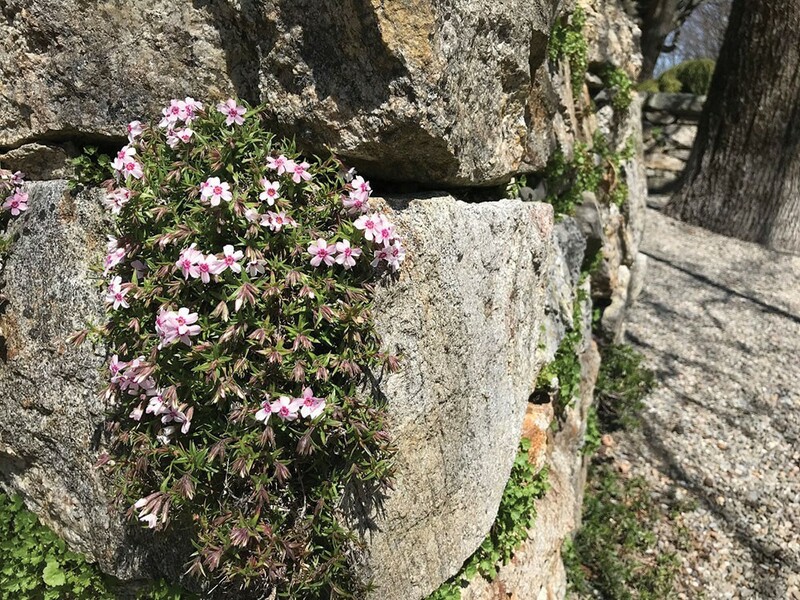 My favorite method for installing plants in rock walls—be they geometric and precise dry-stacked retaining walls, or more naturalistic, stabilizing round stones at the base of a slope—brings to mind making mud pies as a kid. It involves the very technical process of ... making mud. Dry stone wall or otherwise, pockets of planting opportunity are created. You'll notice I mentioned clay loam. The clay part is key. A useful analogy I learned from a mentor is that a given volume of clay soil is like a room filled with golf balls—being small, the golf balls can "nest" tightly together, so the pore spaces between the balls are small. This is what happens with clay soil. On the other hand, the same volume of sandy soil is like a room filled with basketballs—the balls can't "nest" as tightly together, so the spaces between the basketballs are bigger. Those spaces between the balls are like soil pores; the smaller pores between clay particles hold on to water and nutrients more tightly than the larger pores of sandy soil can. Clay's tenaciousness can be bad when you're planting in the earth—sometimes it holds onto water too well, for example—but can be an advantage when you want soil and plants to stay in place and not dry out in the pockets of a rock wall. Not everyone uses the mud slurry technique. Some folks actually tuck some inorganic floral foam or long-fiber sphagnum moss in there for roots to cling to until they get long enough to explore the soil behind the wall. I am sticking with a clay-loam mud-slurry because it works well for me ... and I get to play with mud. Some sources will recommend that you plant as you build the retaining wall, but for most of us, that level of planning and precision is not realistic ... and/or we have inherited the rock wall. Although it's possible to grow plants in a freestanding wall, retaining walls are better suited for plantings because the earth behind a retaining wall supplies moisture to the pocket plants as their roots explore their surroundings. That root exploration is also good for stabilizing the wall by keeping the retained soil behind the wall from washing out. Other reasons to plant pockets: Your wall may have some imperfections that plants can cover over. Plants will visually soften your wall and make it more interesting. More plant variety = more pollinators. Gardeners gotta garden. And it's super fun to play with mud and tiny plants. In choosing plants for sunny spots, start with herbs like rosemary and thyme; succulents like sedums and hens and chicks; and drought-tolerant small or creeping perennials like phlox, dianthus, and basket-of-gold. (Note that even the sun lovers, however, will appreciate some shade during the hottest hours of the afternoon.) For shady spots, consider tiny ferns (tiny-at-maturity, not just baby plants), miniature hostas, columbine, primrose, and the smaller varieties of bellflower. 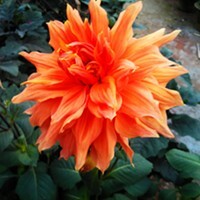 As in the human world, in the plant world, volunteers are happiest. You will get some native volunteers and often they are keepers. 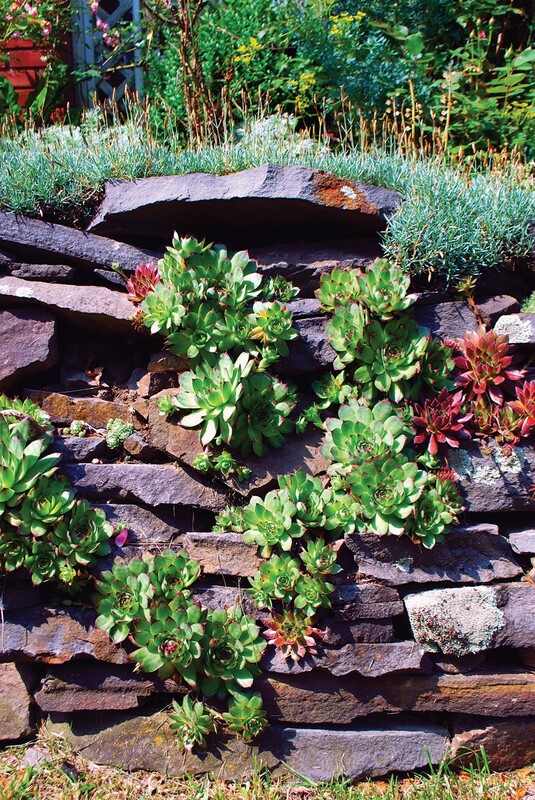 A good way to investigate the possibilities for native plants in your wall is to visit rock outcroppings, crevices, and cliff faces near you to see what nature has sown there. 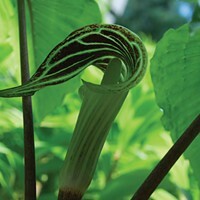 (Of course, you would be going for ideas only, seeking the plants themselves from reputable nurseries.) 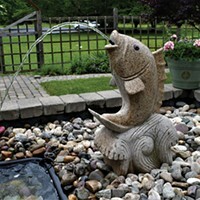 To give your native and other plants the best shot, avoid planting aggressive/overly successful plants that could hog all that limited pocket soil. A word about mosses. If you're like me, the dream is to have mosses atop, in, around, and everywhere in relation to your rock wall. Folks have a lot of misconceptions about mosses, which could lead one to think they won't work in this rock-wall situation. Often thought to require acidity or low fertility, in fact most mosses are not fussy about the pH or nutrient content of the surface upon which they grow. All mosses do not need shade; with nearly 10,000 species of moss growing on all seven continents, you can be assured there are moss varieties that tolerate full sun exposure. And mosses don't have to be wet all the time; in fact, moss is among the most drought-tolerant plants! Moisture aids sexual reproduction of mosses, photosynthesis, and faster growth, but is not essential to the survival of most mosses. However, you do need adequate moisture to get these plants established. So, with a little research, you can bring on the mosses for your rock walls! For perennials, use the smallest seedlings possible for the best chance of success. Plant perennials in early spring or in the fall. Plant annuals in the spring. Use seeds for when you want an inexpensive way of trying out new/unusual varieties of perennials or annuals. Annuals will be higher maintenance because you have to replace them every year. 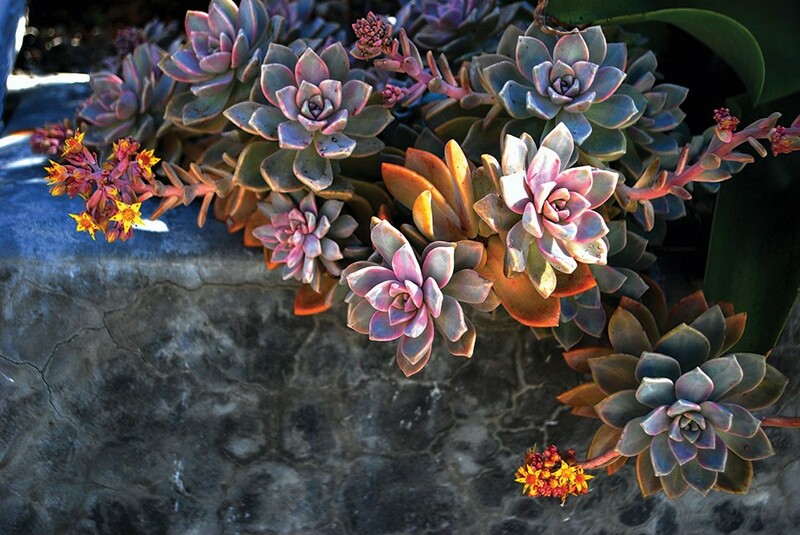 Because succulents are so very drought tolerant once established, use them toward the top of the wall and other places that tend to dry out quickly. Keep your seeds/seedlings moistened with the mist setting on your watering wand so as not to dislodge soil, seeds, or seedlings. Tiny seedlings mustn't dry out. Use drought-tolerant, rock-garden-type plants (this can include mosses!). Embrace volunteers, unless they are aggressive. Allow reseeding by not deadheading flowers. To help retain soil in the pocket, you can make a little shelf by wedging a small stone into the bottom front of the space before filling with soil and planting. Keep the wall weeded, so the little plants don't have competition while they're getting established. Fertilizer should not be necessary for rock-wall plants. Prune creeping phlox and other perennials per recommendations for each type of plant. Keep an open mind as you embark on this experimentation! Sometimes you will do everything right and certain plants still perish. It's not personal.